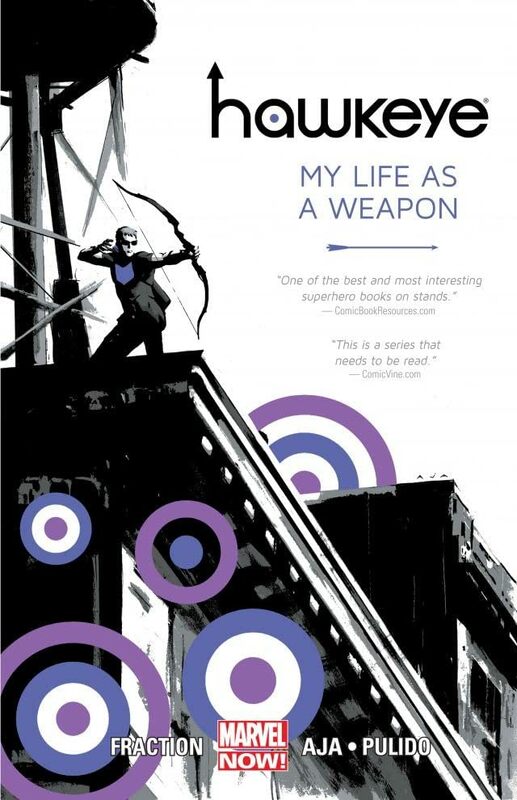 July TEEN TIME Book Club: Hawkeye! Second Sunday 7.10.16 at 12:30pm! Fraction. Aja. Hawkeye. Kate Bishop. Cars. Guns. And videotape. The breakout star of this summer’s blockbuster Avengers film, Clint Barton – a.k.a. the self-made hero Hawkeye – fights for justice…and good rooftop BBQs! And with ex-Young Avenger Kate Bishop by his side, he’s out to get some downtime from being one of Earth’s Mightiest Heroes! Matt Fraction and David Aja (IMMORTAL IRON FIST) reunite to tell the ongoing tales of the Arrow-Avenger. Barton and Bishop mean double the Hawkeye and double the trouble! Plus: Relive Kate’s first meeting with Clint, as she learns wanting something can be miles away from actually earning it. Collecting HAWKEYE (2012) #1-5 and YOUNG AVENGERS PRESENTS #6.